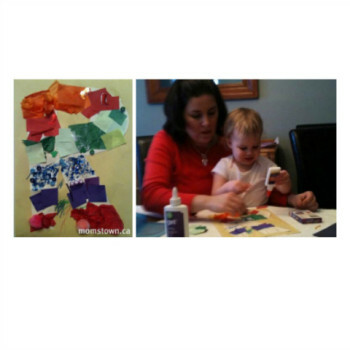 Our little ones love all sensory play at momstown Baby Basics and Toddler Time programs. 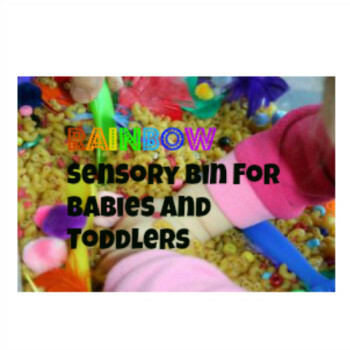 We love this rainbow-theme sensory bin. St. Patrick’s Day is all about being silly, dressing in green, picking shamrocks for good luck and eating great food! 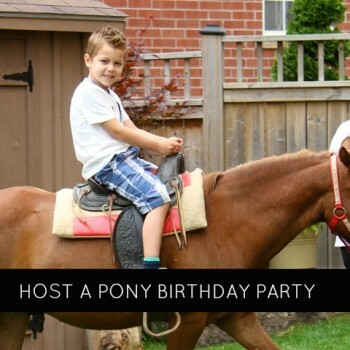 You don’t have to be Irish to get in on the fun this March 17th! Having fun with the alphabet and starting to recognize letters is the best part of our monthly Alphabet Play programs at momstown. 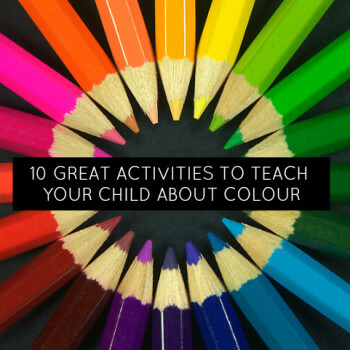 Each month, a new letter or group of letters is the focus of our event; from books and crafts to songs and parachute time! 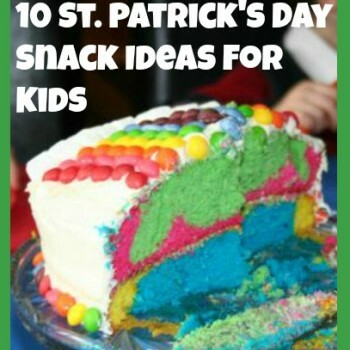 What a happy theme – RAINBOWS – for a birthday party or St. Patrick’s Day. 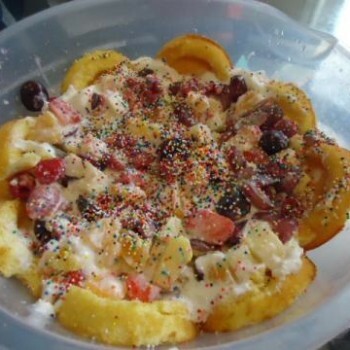 A messy trifle is a yummy trifle so get some of these ingredients into your kitchen and invite your children to create with you. 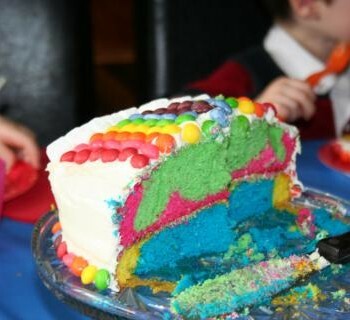 We love that it looks like a rainbow for St. Patrick’s Day! 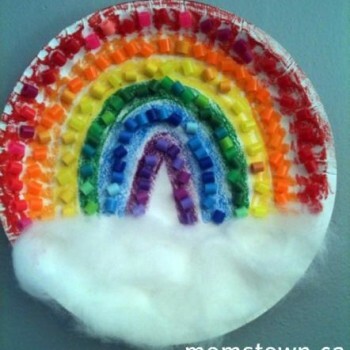 We love the element of surprise in this creative twist on a rainbow from momstown Newmarket-Aurora. 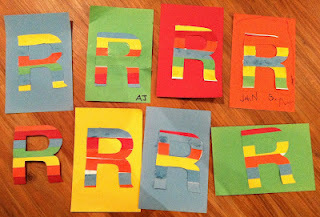 Their Alphabet Play program made Rainbow letter R’s! 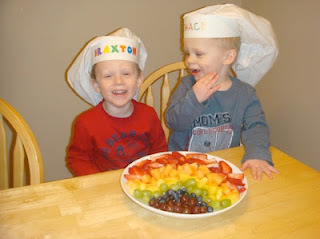 This Rainbow Fruit Salad empowers kids to help make the salad from the shopping and fruit choices to the ‘grown up’ tasks of washing and cutting fruit. 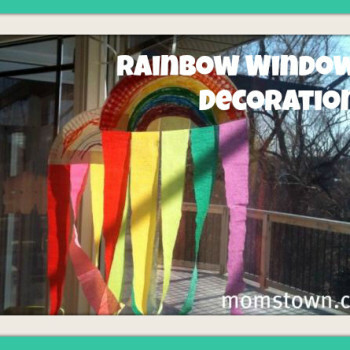 Need a rainbow to appear for a St Patrick’s Day party? 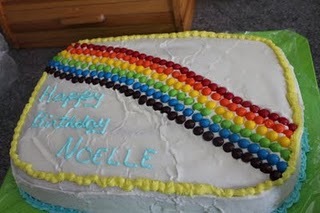 Why not bring the bright stripes of the rainbow to the cake? 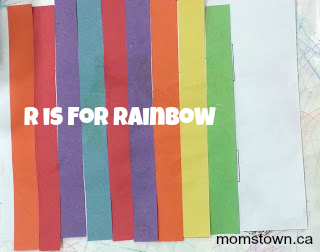 momstown’s got alphabet, St. Patrick’s Day, and colours all covered off in this R for Rainbow craft. 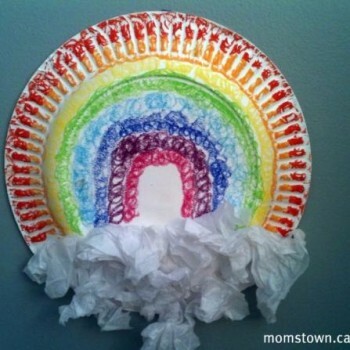 You can also throw sensory ideas in here when you choose your materials! 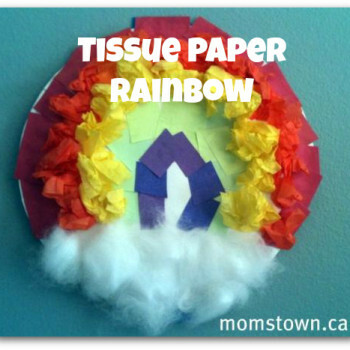 momstown’s got some great rainbow-themed crafts for St. Patrick’s Day – simple enough that we even had a 9 month old make one!